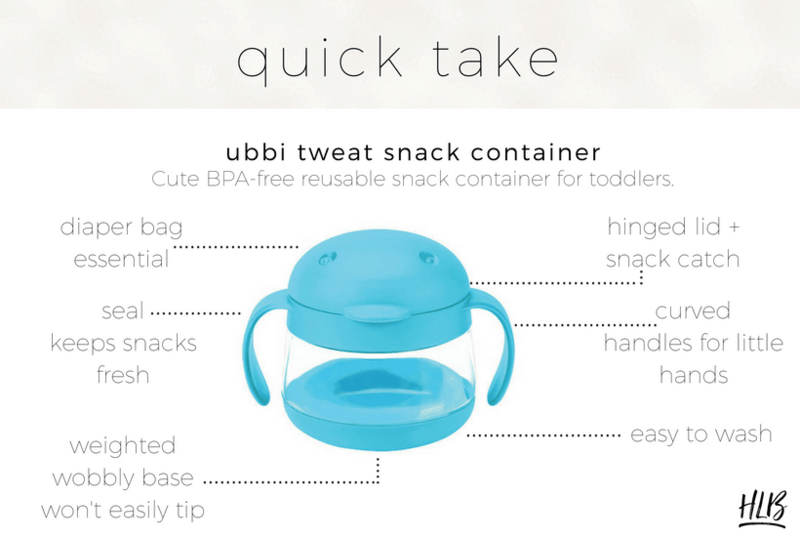 A review of my go-to snack container for kids, the Ubbi tweat. 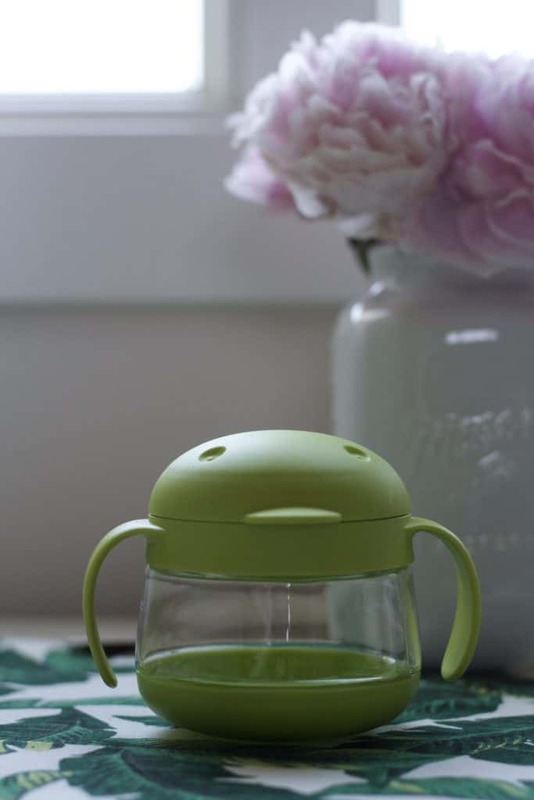 This fun BPA-free snack container features include snap lid and wobbly base. My go to snack container is the Ubbi tweat. We actually call it the “Puff Penguin” as it is usually filled with blueberry sweet potato puffs, but I suppose that’s besides the point :). In my babysitting days I usually packed treats for toddlers in sandwich bags. When Ziploc invented smaller snack size bags that felt like a revelation. But when I began toting snacks around for my baby I wanted a reusable container. While the Ubbi tweat is made of plastic, it’s still a serious upgrade from plastic baggies. The spill catch feature has kept my car and diaper bag from being overwhelmed by snack spills. The cup is the perfect size for little hands, and the spill catch allows toddlers to reach in to the container and grab a few snacks at a time. In addition to the spill catch, there’s a hinged lid on the tweat snack container. It’s easy for my child to open and close the hinged lid, but she can’t take the lid off entirely because it screws on. This snack container really minimizes mess. We use it primarily for small shelf-stable snacks like Cheerios, puffs, and bunny crackers. The base is weighted so that the Tweat leans and wobbles instead of tipping over, which can be entertaining. As I mentioned, this is a plastic snack cup. It’s PVC/phthalate/BPA free, but again, plastic. That said, it’s very easy to wash and quite durable. Ours gets thrown on the ground fairly often and holds up well to standard wear-and-tear. There are certainly many other plastic snack cups with spill guards out there, but I think this is the cutest. Though it’s designed to look like a bird, we think it most resembles a penguin with its full belly. We own it in hot pink, blue, and green. I always keep one in my diaper bag, one at home, and one in the car. My baby primarily uses her tweat container in the car seat or in her stroller. Does anyone else have an Ubbi tweat? Is it weird that I think it looks like a penguin? If you have a go to snack container, let me know! I always love to get new recommendations! If you’re wondering about other things I bring on errands with my toddler, read this post. And here’s another diaper bag essential.